Orlando is a major metropolis, situated in the State of Florida. It is the world capital of theme parks and the US champion among the places for family leisure entertainments. The parks of Walt Disney have made the city a recognized center of tourism. Due to the large number of cinematic amusements, this city is called East Hollywood. In Florida, there are many film festivals, such as Sarasota Film Festival, Central Florida Film Festival (CFFF), Hollywood FFF, and Florida Film Festival (it is described below). You may pick the one, which you like the most and visit it with the help of car rental in Orlando Airport. In addition, there is a huge amusement park- Universal Studios Orlando. If you are a real cinema devotee- you should definitely come to this thematic entertainment center. 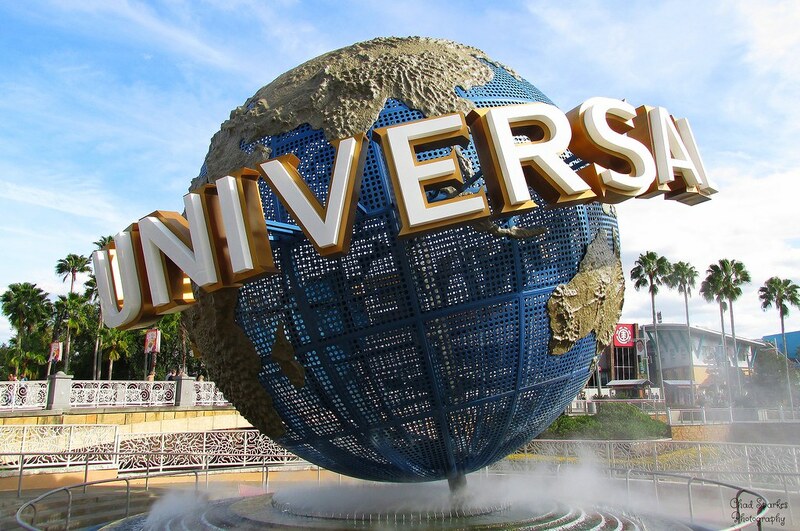 The Universal Studios Orlando are owned by NBCUniversal and its affiliates. You may hear about NBC Universal, as it is a part of Universal Pictures, which successfully produces and distributes films, being one of the six major film producers in the United States. Founded by Carl Laemmle in 1912, the company is one of the oldest American film studios and still continues to make films. The Universal Studio is the second-age film company in the US, yielding in this parameter only to Paramount Pictures, which is just one month older. The main production facilities of Universal Studios are located in Hollywood, California. In Orlando, the company owns two theme parks, the ‘Universal’s Islands of Adventure’ and the ‘Universal Studios Florida’. They are united into the Universal Orlando Resort. These parks are the second largest and most significant parks of Greater Orlando after the Disney World. In addition to these two amusement parks, the Universal Orlando Resort includes the Universal CityWalk Orlando entertainment complex, the Wet ‘n Wild Orlando water park and three hotels, adjacent to the parks: Portofino Bay Hotel, Hard Rock and The Royal Pacific Resort. The original amusement park was opened in 1990, as a theme park, entirely dedicated to the mystery of making movies and animation. The guests can have fun on the stunning thematic attractions, devoted to the plots of films, see how films are made and take direct part in filming. The park is divided into 6 thematic areas: Production Central, Hollywood, San Francisco, New York, Woody Woodpecker’s Kidzone and World Expo. The “HOLLYWOOD” area is devoted to the world-famous film “Terminator”. All visitors may see Terminator face to face using stereoscopic glasses. Also in this area, there is a real treasure for horror fans -the attraction, based on the horror films, made by Universal Company. The area of ​​“NEW YORK” is divided into two sideshows: ‘Revenge of the Mummy’, ‘Twister’ and ‘Ride it out’, which is devoted to films about world catastrophes. The “PRODUCTION CENTRAL” area is the best place for children, as it is dedicated to the film about Shrek – the ‘Shrek and Donkey’. The “SAN FRANCISCO” area is based on the plot of the famous JAWS movie. There is also a leisure-time entertainment “FEAR FACTOR LIVE” with all of the catastrophes – from earthquakes to hurricanes and typhoons. The “WOODY WOODPECKER’S KIDZONE” area. Here you will meet the animated character, which is loved with both adults and children- Woody Woodpecker. In addition, in this area, there are interactive entertainments, water games and playgrounds, filled with colorful soft balls of different sizes, where your kids can have fun. The “WORLD EXPO” area. It is one of the most exciting places in the whole park. Here are the leisure-time entertainments, the plot and action of which are based on the famous movies: “Man in black” and “Back to the future”. Even the parking is a giant multistorey garage separated into several zones with names. For example -“King Kong”, “Jurassic Park”, etc. When you enter the park, it is better to buy a pass for $ 20 for all of the entertainments. This way you will not have to stand in huge queues and you could visit more places in the park. At the Universal Orlando Resort, summer is all the year round! You may plunge into the atmosphere of childhood and unexpected adventures for every taste. A brief review about one more place at the Universal Orlando Resort- the “CityWalk”. It was opened in 1999. This is a shopping and entertainment area, situated near the parking, in front of the entrance to Universal Studios. Here everything is brightly illuminated, the music rattles and the crowds of people are moving continuously. The CityWalk is an entertainment center with dance floors, restaurants and cafes with live music. You do not need a ticket to enter this area. It is the place of the park’s nightlife, which is preferred by lots of tourists. This is one of the biggest film festivals for 26 years already, which takes place in Orlando. Its main events hold in Maitland and in Winter Park. The festival is qualified by an Oscar corporation, choosing the best in international, independent and current cinema. During 10 days, you are having chance to view 170 movies and first-class events, to be surrounded by celebrities and filmmakers. At the event, the delicious cocktails and extended menu are offered by Eden Bar. There are vouchers (discounted tickets), which are sold for the film show visits, (the movies are selected in advance): $50 for 5 films, $95 for 10 films and $180 for 20 films. You would see the original cinematic program at the Enzian Theater. It is the producer of the Florida Film Festival since 1992. One of the theater’s goals is to inspire, entertain, connect and educate the community through film, not just at the Festival, but the whole year round.